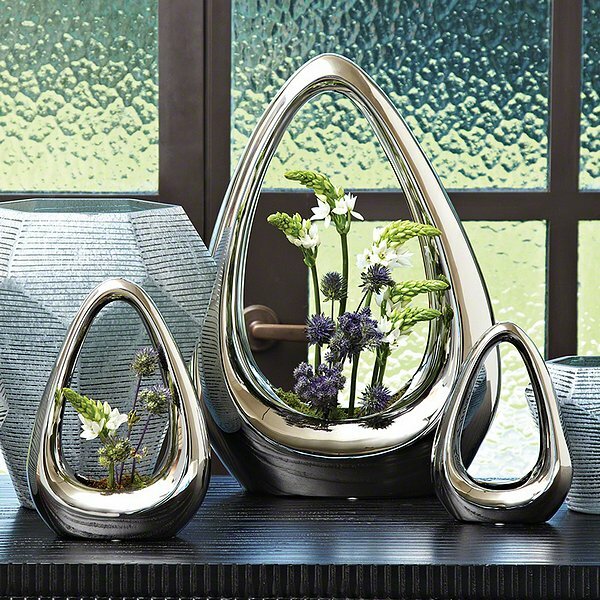 Global Views 8.81948 - Electroplated silver ceramic make these cute little vases unique. Watertight and great for a traditional or asymmetrical flower arrangement. Shown as a set, but sold individually.